In 1956, the Rolex Day-Date made its debut. Available only in 18 ct gold or platinum, it was the first wristwatch to display the date and day of the week spelt out in full in a window on the dial. With the President bracelet, originally created specially for it, the Day-Date continues to be the watch par excellence of influential people. Rare and precious, platinum is striking for its silvery whiteness and vibrant luminosity. It is among the densest and heaviest metals in the world, distinguished by unique chemical and physical properties such as exceptional corrosion resistance. Paradoxically, it is also soft, elastic and highly malleable, which makes machining and polishing especially difficult, demanding an extremely high degree of skill. Rolex always uses 950 platinum, an alloy consisting of 950‰ (thousandths) platinum, painstakingly crafted in-house by the fine metalworkers at Rolex. The noblest of metals for the finest of watches. After the Basel World in 2015 March, Rolex published their newly developed Cal. 3255 movement, they equipped this movement in their Day-Date series. Today, in our replica watch industry, a clone Rolex 3255 movement was researched and finally came to us, if you are interested in 1:1 Rolex Day-Date replicas, then this article is worth your time to read. 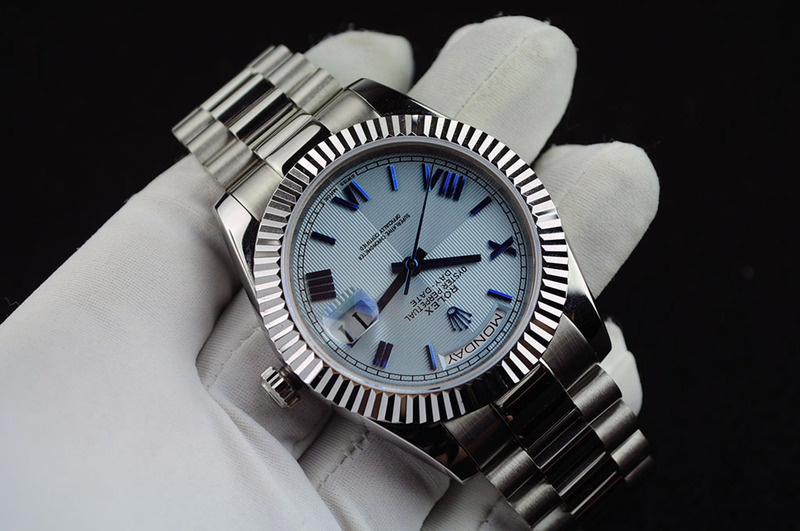 Currently there are 263 different Day-Date models in Rolex official website, but there are nearly 3000 different types of Day Date replica watches at least in our watch market. 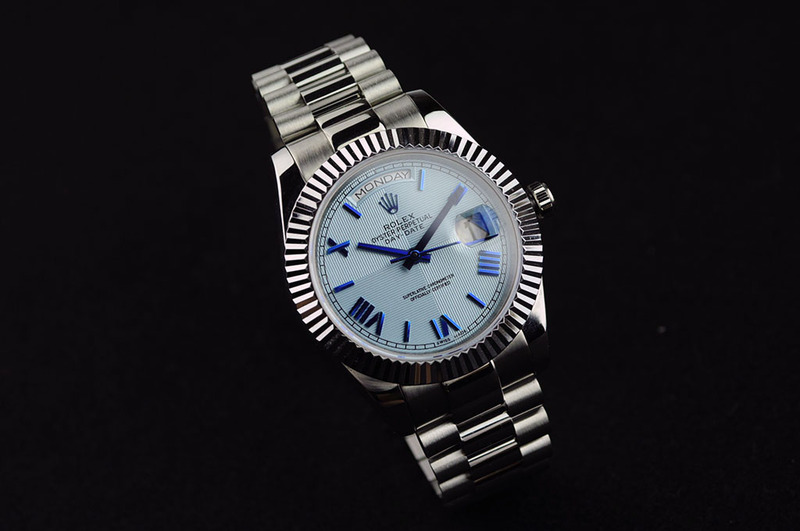 The following pictures describe one model that could not be found in genuine Day Date category, because the replica uses the case and bracelet of Day-Date 40mm, the dial of M228206 and bezel of M228239. you are not able to find the exact reference no. of this replica watch. About the workmanship of clone Rolex 3255. Actually the factory refered to the experience of replicating Omega 8500 and 9300, they added one layer of movement plate on the basis of standard ETA 2836, then replace the 2836’s auto rotor with a new one. So the whole movement looks very close to genuine Rolex 3255. Here are some movement pictures.